It can be very difficult to determine if a person is struggling with alcohol use because it is so widely accepted in today’s society. It is not uncommon for people to unwind at the end of the day with a beer or a glass of wine but for some, it is not always so easy for them to stop. Alcohol use disorder or AUD is an increasing problem in America today, with people entering into alcohol abuse treatment on a daily basis. But how do you know when you are drinking too much and what are alcohol abuse symptoms? In this article, we take a closer look. This shows how little alcohol consumption is considered to be “in moderation,” although there are hundreds and thousands of people who step outside of these limitations. In terms of determining if a person has a developing drinking problem or is at risk of one, for women, this is having more than 7 drinks each week or 3 in a day and for men, more than 14 weekly or 4 in one day. For many people, this is a surprisingly low amount of alcohol to be considered “heavy” drinking, but this simply reveals how normalized alcohol has become in today’s society. When you consider the amount of alcohol intake that can reveal an underlying AUD, it is very likely that a few people come to mind. Alcohol use disorder or AUD is the term used to describe the spectrum of alcoholism to include everything from mild dependency to full-blown alcohol addiction. 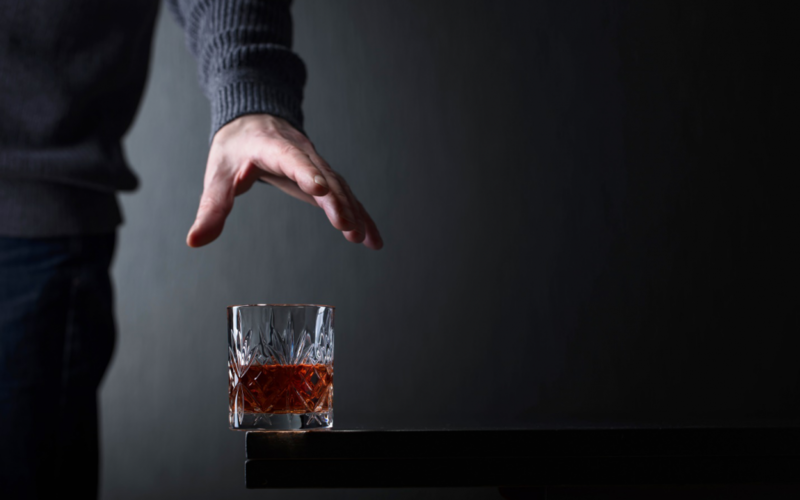 Alcohol abuse is a chronic mental health disorder that is considered to be relapsing because people can return to alcohol abuse even years after completing rehab. Around 16 million American adults and adolescents are estimated to suffer from some form of AUD. There are many factors influencing the risks including, genetic, familial, environmental, physical and mental health. The more of these statements that apply to an individual, the more severe their AUD is likely to be. Even people with mild AUD can suffer serious effects on both their physical and mental health. AUD often causes other problems that people seek to avoid by drinking, which creates a negative cycle unless they receive alcohol abuse treatment. Because people with AUD expose themselves to unnecessary risks, they also have a greater chance of being injured or dying from road traffic accidents, homicide, suicide, and drowning. When someone suffers from an AUD, it also affects the people around them at work, school or home. Even the closest of bonds can be broken by the negative behavior associated with alcohol abuse although rehab can be extremely effective in helping to mend them. Family therapy is an important component in alcohol abuse treatment and lets the person with the illness know they are not alone. Family therapy creates an environment where intensely personal issues can be discussed without emotions clouding the conversation. The person struggling with alcohol needs to recognize the impact of their behavior on others as part of their rehabilitation and their loved ones need them to become more accountable in the future. Family therapy in alcohol abuse recovery restores open and honest communication between all parties so they can all work together as a unit to achieve recovery from AUD.